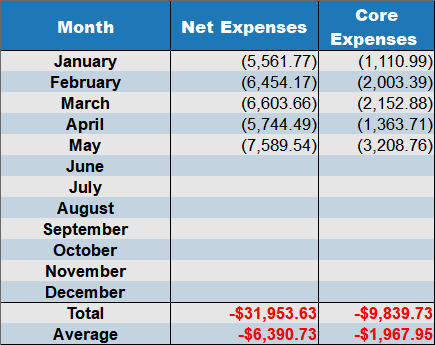 Yep, it’s time once again for another monthly financial update, and this one is a doozy! If there was a theme to the month of May, is has to have to been “financial manipulation” because our numbers look completely crazy this time around. In May, we shifted a whole bunch of our regular expenses forward in May to receive a juicy credit card sign-up reward. The typical rewards credit card has very lucrative signup bonuses but you have to spend X amount in a 90 day period. For big spenders, achieving this level of spending is “no problem”. But for a frugal family like ours, it takes a fairly significant amount of financial manipulation to achieve these credit card rewards. 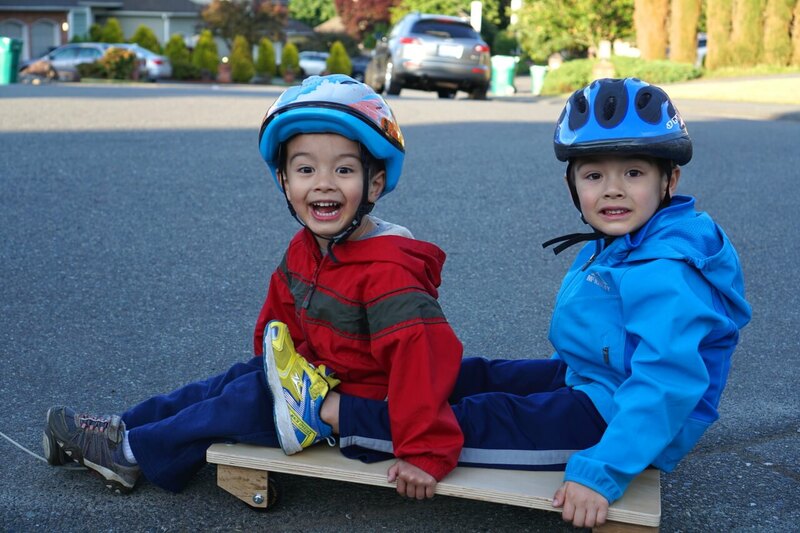 For a frugal street luging family like ours, achieving those credit card rewards takes significant effort! 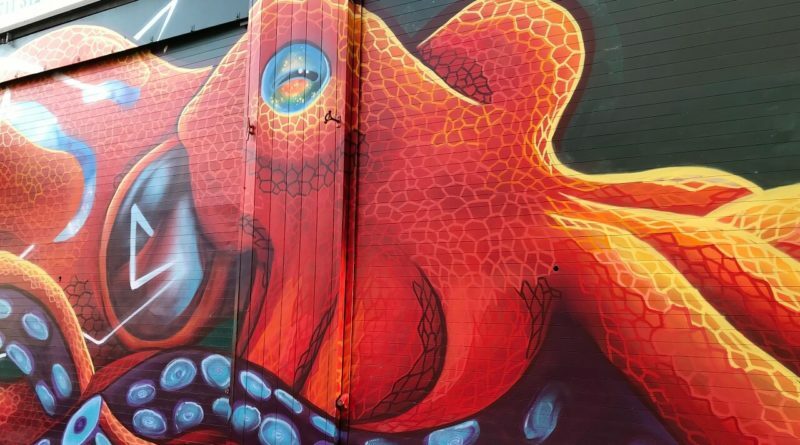 In a typical month the Tako family only has around $1000 per month in controllable expenses that can be placed on a credit card. So this means to meet a typical $4k sign-up reward, we have to shift forward at least an additional $1000. This kind of forward-shifting financial manipulation is typically achieved by prepaying utility bills, gift cards, or by paying taxes on credit cards. In our case, we stuck to the simple strategy of prepaying utility bills and buying gift cards for the stores we shop at. 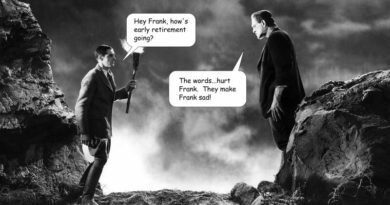 Unfortunately, all this financial “expense shifting” has the effect of making our expenses look completely decadent. At first blush, it appears we spent $7,589, making May our most expensive month of the year! But the reality is we didn’t consume nearly that much. In total, we prepaid $1800 of future expenses to reach that credit card award, so our actual consumption spending was only $5,789. Food spending was $1293 in May, which was slightly higher than our $500 average. What the hell happened? Did we go insane and start eating steak and lobster every night? Nah… the big jump in food expenditure is merely the cost of grocery store gift cards. We purchased these to reach the necessary credit card spending levels. In total, we spent $800 in food gift cards. We’ll use these in the coming months to pay for most of our food expenses. Without the gift cards, we actually spent only $493 on food. As usual, we eat very well on relatively little. Part of how the Tako family enjoy’s life is by eating fantastic food, and May continued this delicious trend. Miso soup and a cold noodle dish by Mrs. Tako. 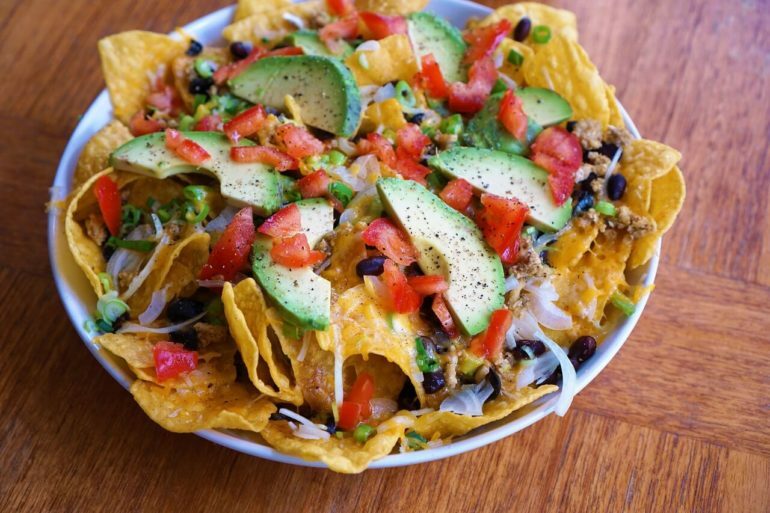 Who doesn’t love a good plate of nachos! 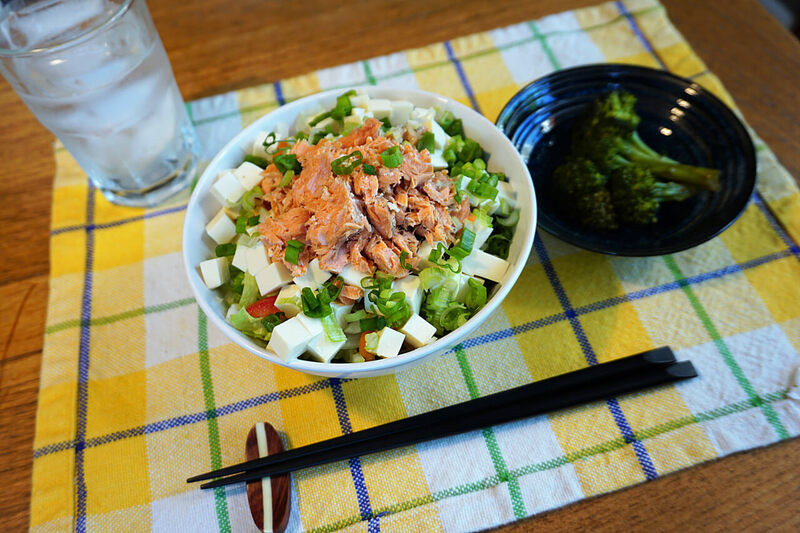 Barbecued king salmon salad and steamed broccoli coated in a butter-shoyu sauce. The salmon was caught by Grandpa Tako in the Columbia River. 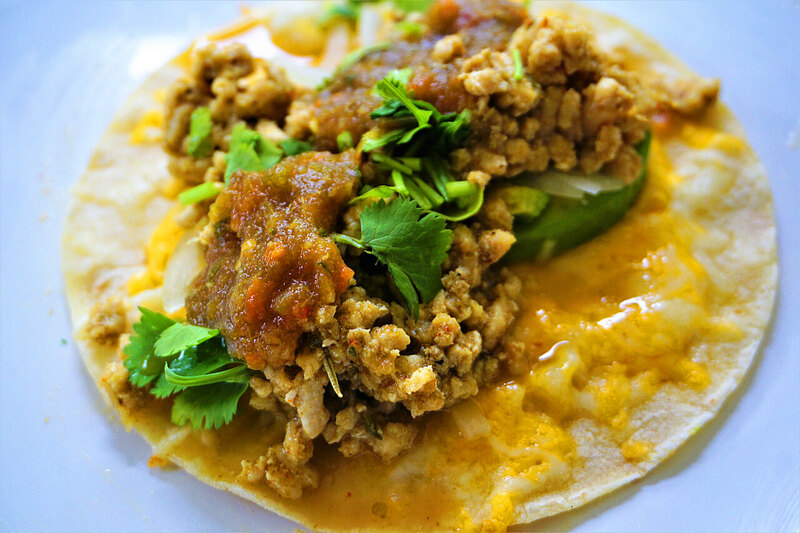 Turkey tacos with my homemade habanero salsa. These were outstanding! 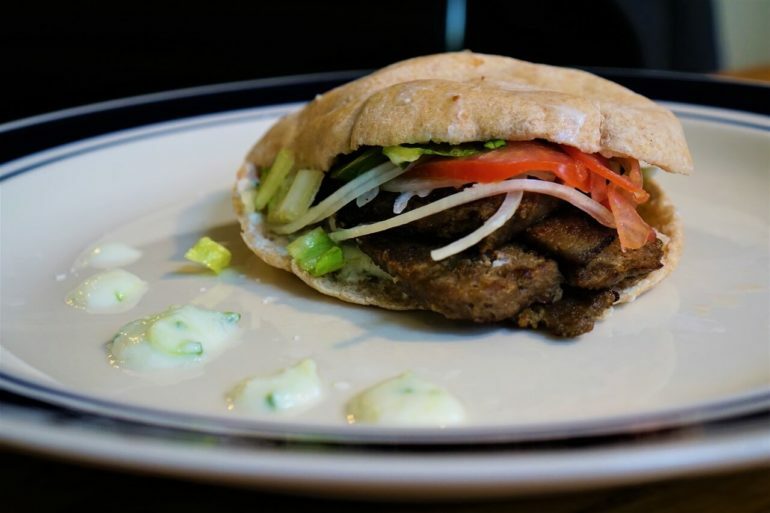 Homemade gyros with scratch made tzatziki sauce. A family favorite. 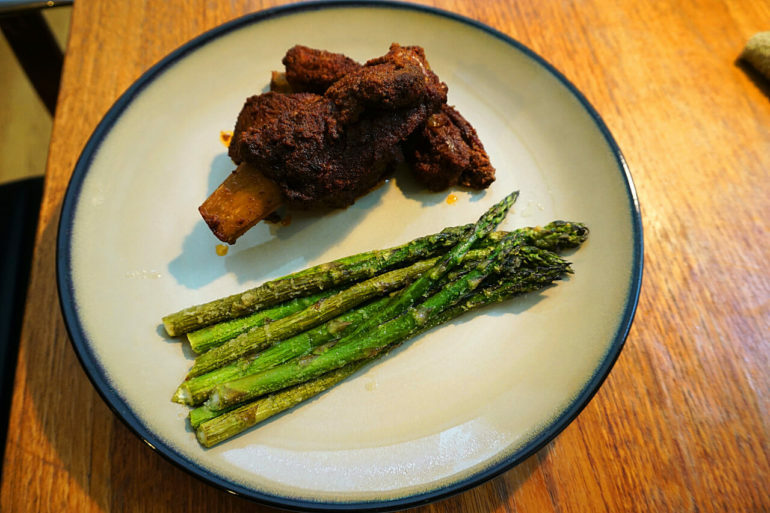 Slow cooker spice-rubbed pork ribs with oven roasted garlic asparagus. Anybody hungry yet? Clearly we’re suffering from significant deprivation in the food department. We’re just withering away from the lack of good food here. Fuel spending was higher in May at $153. Normally we spend around $100-$120 on gasoline in a given month. We didn’t do any unusual additional driving in May, so the difference this month can be mainly attributed to higher gas prices or the timing of our gas fill-ups. Internet expenses amounted to $536.49 in May. This is significantly higher than our usual $49.99 because we prepaid an extra $500 of our internet expenses. This means we won’t have another internet bill to pay for 10 months! Without the big prepayment, our internet expense would have been a mere $36.49. 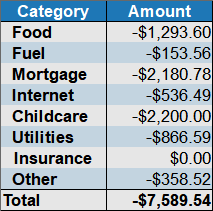 As usual, our mortgage and childcare expenses make-up the bulk of our monthly spending at $4,380.78. These are our two largest monthly expenses, but I consider them entirely optional. I could take the kids out of daycare and keep them home with me (I wouldn’t have time to blog), and we could pay-off our mortgage with cash. So why do I bother paying for a mortgage and for daycare? I simply choose to pay these large bills on purpose because of the advantages they provide — The kids are becoming fluent in a second language at daycare, and I get the time to blog a little! 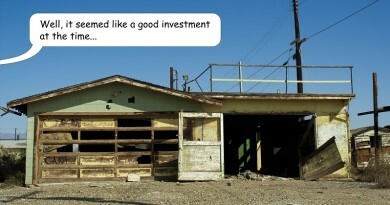 For the mortgage — our interest rate is so low I’m almost 100% positive we can find a better return in the stock market. Financially we’ll be better-off NOT paying-off the mortgage. Utilities for May were an unusually high $866. Why so high? Yep, you guessed it — we prepaid $500 on our garbage bill to help meet that credit card award. Without the pre-payment, our utilities would have been $366 for the month of May. This bi-monthly bill includes water, sewer, and garbage. The Other category at $358 had a few unusual expenses this month. Frankly our “Other” spending was abnormally high in May and I’m not terribly happy about it. The first of these unusual expenses was dinner out at a restaurant! Mrs. Tako and I had some free childcare for a night, so we went out for a ‘date night’ with another couple. Our share of the bill amounted to $65.05. Shocking for sure! It had been two months since we last saw the inside of a restaurant, but I’m feeling a little guilty. May also marked the death of our trusty rice cooker, which had been featured numerous times on this blog. I tried using my best DIY skills to repair that trusty little home appliance, but alas my DIY skills were unable to produce a fix. It was a very sad day. Instead of dwelling on our riceless existence, we purchased a new Zojirushi rice cooker off Amazon for $121.36 (after taxes and shipping). New blood in ‘da house! 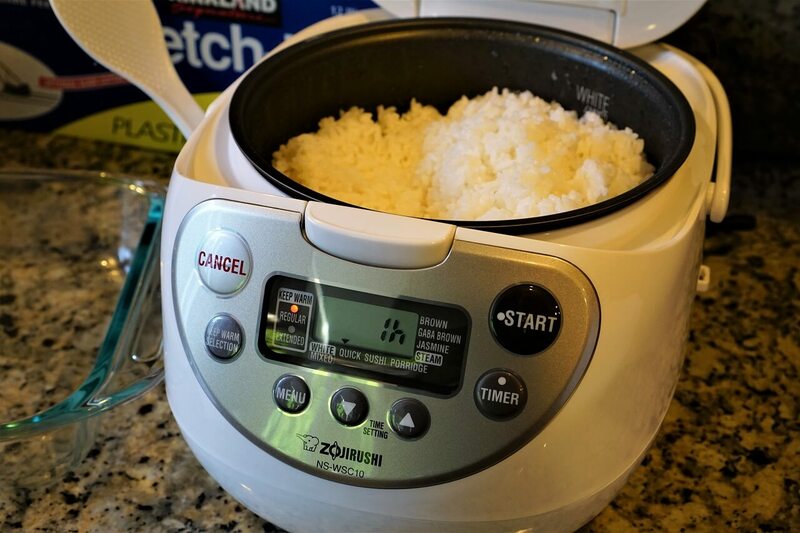 Our new Zojirushi rice cooker. It can’t put a man on the moon, but it was a good balance between price/performance/and features. As far as good rice cookers go, this was a decent deal. They can get A LOT more expensive. This was the option that resulted in the best price/performance/and feature set. 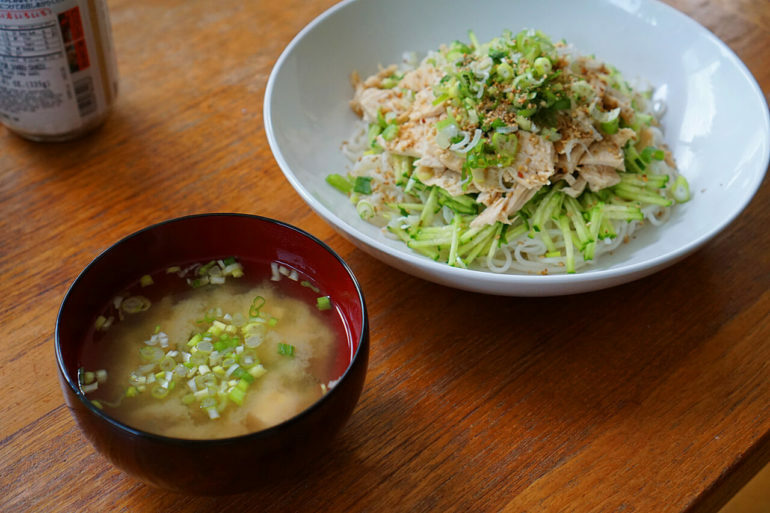 We tend to use our rice cooker for a lot of things, including: bean rice, lentils, sushi rice, brown rice and sometimes we even steam vegetables. So it made sense to buy a good quality replacement off Amazon, rather than the cheapest possible option. Some new hearing protection for my delicate ears ($21.42). For the year 2018, our cumulative expenses have reached $31,953. This is roughly on-pace to match our spending from 2017 which totaled $73,173. We live in a high cost of living area (the Pacific Northwest), so our expenses might seem a little high to some readers in cheaper areas of the world. Dividends in May amounted to $396. As you can see, May was NOT a big month for dividends. Most of our stocks and index funds do not pay-out during the month May. This is perfectly normal and the result of regular quarterly dividend payouts. Our best dividend months tend to be March, June, September, and December. 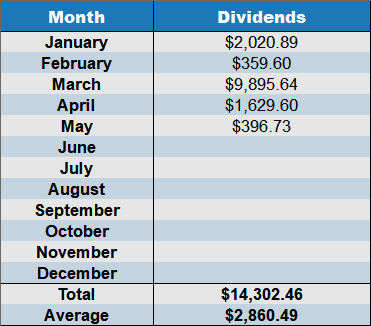 We tend to gross about $10,000 in dividends for each of those months. In May, we invested $21,000 in additional shares of Southwest Airlines (LUV). Recent weakness in Southwest’s shares took the price significantly below where we first purchased back in 2017. I’m unconcerned about the temporary weakness in the shares, so we picked-up a few more in May “on sale”. Over the long term (the next 20 years), I feel like this investment is still going to work out very well even though the shares have underperformed over the last year. Passenger traffic is still set to double over the next 20 years. The airline still ranks very high in customer service rankings, and has a great customer-focused corporate culture. Fewer national airlines due to consolidation mean better economics for airlines, but higher prices for customers. The world is still awash in cheap oil, which should keep jet fuel prices low for decades. Management incentives are aligned with what I’m looking for. And it’s this energy efficiency which drives excess free cash flow at Southwest. Free cash flow is going to be the driver of internal compounding. Southwest Airlines seems to agree with me, and recently raised their quarterly dividend by 28%. This was a nice validation to my ideas and I hope it continues. For all our other investments, we continued to hold the same amounts and did no selling in the month of May. As always, I continue hunting for new investments that put our spare cash to work. I regularly post my more interesting investing ideas monthly, but may or may not purchase shares. That’s it for May folks! Enjoy your June! Can i just say first… The food looks amazing! Let’s just take a quick second to acknowledge all that goodness lol. If fuel prices continue to rise, LUV margins will continue to tighten. LUV is a great airline, probably the best, but not sure I am with you on this one. I think it could be a tough business going forward. As usual a great report and always amazed at how little you guys spend on groceries! Feeling guilty for spending $65 on date night? It really isn’t that much and totally worth it, unless you didn’t enjoy the meal or the company ! I like the food gift card idea to help max out credit cards. Are they just from your local grocery store? Yeah. It’s possible to get discounts buying from some places online, but those guys rejected my application for their affiliate program so I won’t link to them. If only we could pay for childcare with a credit card! Something I’ve thought about more than once 😉 Just for curiosity’s sake, where do you do most of your grocery shopping? Wouldn’t that be nice! I would rack-up some serious miles that way! We do our grocery shopping mainly at Fred Meyer or one of the local asian stores. Great pictures! The nacho looks good. Spending ahead is okay. It will even out in a month or two. Yeah, don’t worry about the date night. You need to take the missus out once in a while. Interesting on the prepayment with a credit card. Here if I prepay the amounts you mention I would earn more through interest in my money market account (at 6% per annum), than the credit card reward would give me at c.1-3% cash back. So it makes more sense to keep the cash and earn interest than to prepay. 6% holy cow! We can’t get anywhere near 6% on a money market. Things are a little different in South Africa I guess. These posts always leave me starving…..for more dividends and food! Great month sir! I wonder how many people go through life without budgeting and having “decadent” months without even knowing it. You knew because you keep track and were gunning for a promo, but so many folks do it without realizing it and it’s scary. Man those ribs look good! 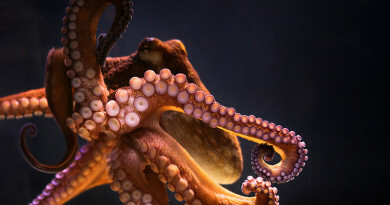 I like May because it is one of the only months where I can tie/ or even beat one of my dividend heroes (that would be you of course Mr. Tako). The food all looks amazing. I had… a can of soup for lunch. Boring. My main problem with cooking has been I can’t figure out how to make just enough for one person for 2 or 3 meals and end up eating my leftovers for a week. So I broke down and bought sealable and reusable food storage containers at Wal-mart this week. I’ll be able to freeze most of it in smallish containers and eat it a couple weeks later. No more same old thing 35 times in a row! Great thinking Mr. Velociraptor! I batch make all kinds of stuff and freeze it. Pizza sauce, soup, pesto sauce, chili, ravioli filling, taco meat, etc etc. It makes preparing great meals way easier! I’m also really creative in how we use up leftovers. If I make spaghetti today, the leftover meat sauce will become the sauce for a “meat lovers” pizza on Friday. Leftover gyro ingredients become tomorrow’s mediterranean chicken plate. And so forth. Believe it or not, I learned that trick from working in a 4-star restaurant. I was just a dishwasher at the time, but I paid attention. I didn’t know you can prepaid utilities. Do you guys shop at Central Market? I think they’re popular for their Cyber Monday grocery cards for 20% off. I forgot to buy it last year and I ran out of gift cards in…March and I so regret it because they have platters of sushi. It’s sort of hard for us to meet those credit card reward spends too. We’ll have to get creative because I think we’re probably only going to be 300 dollars behind.